The course is directed at the process of giving evidence in court focusing mainly on quasi-civil appeals against matters such as license conditions and abatement notices but will assist being a witness in other litigation and criminal cases. It is inappropriate to discuss proposed evidence in live cases. Coaching or manipulating evidence can be seen as an attempt to pervert the course of justice and cannot occur. As a result this course uses fictional cases for the practical elements of the course but which relate closely to the work of local government officers and especially within environmental health. We will discuss historical cases in relation to the treatment of evidence by the courts but not of any live cases. The course uses a combination of training methods including actual evidence presentation, its examination and evaluation, to help individuals understand this process. Give an insight and demystify the court experience of giving evidence. Avoid doubt being cast on your evidence. Gain knowledge on the procedures. 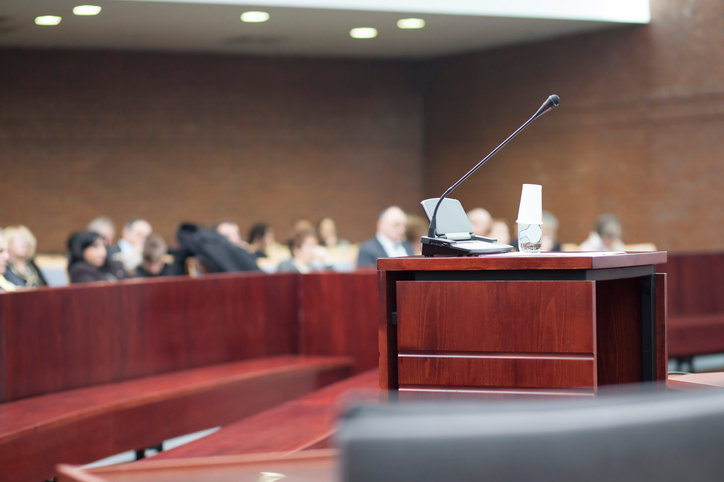 Understand what constitutes expert evidence and an expert witness. Familiarisation with the rules for experts applicable in civil and criminal cases. Produce a coherent account of evidence from the witness box. Understand how evidence can be challenged. Differentiate between factual and opinion evidence. Understand the role of the Judge and advocates and their techniques. Enable you as a witness to best assist the court with your evidence. Improve confidence in presenting evidence. Experience presenting evidence and examine good and bad points. The court system and examination of witness evidence. Oath / Affirmation – Importance and approach. Developing objective, honest, transparent and clear evidence. Preparing to give evidence - basics and insights. Evidential aids – refreshing the mind.